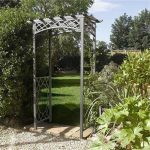 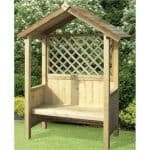 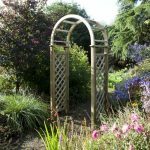 This is a must for smaller gardens as its neat proportions means it won’t take over. 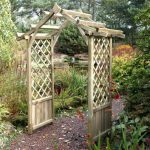 Constructed from pressure treated and guaranteed strong with 60mm timber this will withstand all weathers and last for years. 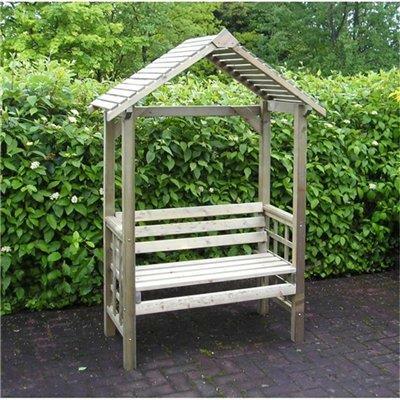 It’s simple, clean lines mean it lends itself to any outdoor space and the slatted roof provides excellent shade. 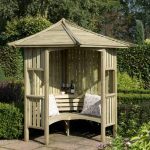 This is an attractive, affordable choice which comes with a 7 year guarantee.